They Train In Spain, But Rarely On The Plane. 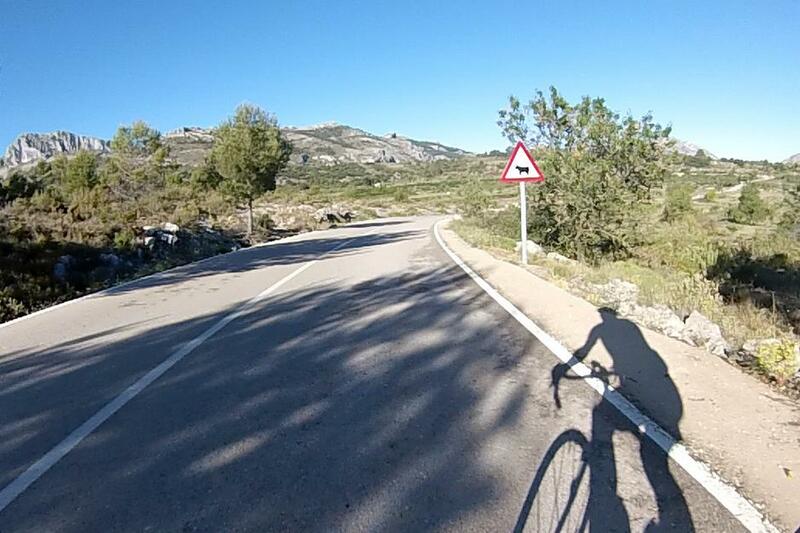 I've just returned from a training camp on Spain's east coast, in the Costa Blanca town of Calpe. Don't feel too jealous, we did one mountain pass in a blizzard and a temperature of -2º. To be fair that was a freak occurrence and a tweet from a UK pro the day before showed him and the team atop the same pass in shorts and jerseys. "Calpe has become more and more popular every single year and it seems to be almost de rigeur now as the place to go". Search the Cycling News archive for "Calpe" or "Altea" and see how each winter draws the WorldTour teams in like road grit to an oily chain. Katusha, like plenty of other Russians these days, seem to live there. Etixx, Astana, BMC, Cannondale-Garmin - seven WorldTour teams in the winter of 2015. While they might be racing now their places have been taken by semi-pro teams from across northern Europe. Flemish is probably the area's de facto first language each February. Pro-spotting out there is easy: look for the weirdly thin riders, fully clad in winter gear when it's 20º, an eerily shiny aura about them. Head to toe Lotto-Jumbo kit is a clue, too. Mallorca has the reputation but Calpe is where the teams actually go for training camps. Even Mallorca's most notable devotees, Sky, have those who abscond to the mainland instead: my apartment's cleaner almost ran Chris Froome over a couple of years back. After Giant-Alpecin's mega crash out there in January we can surmise that British drivers are the greatest threat to cycling teams on Spanish training camps. Why do so many cyclists go there, what are the training bonuses ? The simplest answer is that think of everything you hate about, and stops you training in the UK over winter. Now think the opposite: 320 days a year of sun. Average winter temperatures in double figures. Great quality roads. Amazing mountain scenery with few cars (bar those driven by incompetent Brits - that stays the same). A cycling culture that has only increased with the influx of pasty-skinned non-Mediterraneans. The presence of thousands of other like minds. To illustrate that last point, a pro rider friend was there a couple seasons back with the intention of training alone. One quick Facebook check later and he spent December nodding hello to Nibali daily, doing hill intervals with the Schleck brothers and spending more time riding with his peers than if he'd stayed, cold and wet, at home. The riding is superb. The presence of pro training camps is an obvious indicator but the Vuelta visits most years (including 2016). Probably the hardest type of training to do for the mere mortals amongst us who can't keep a heart rate down in the presence of hills, is low intensity base miles (as dismissed in my last article here). That said it is possible, and I have seen pro riders making the worst of a great opportunity by riding the busy urban, flatter coastal roads. Trust a pro to find the dullest ride in order to get the job done efficiently. Bringing this back to training, the reason for my recent trip was to accompany a client who has a serious European mountain sportive goal this summer. Although I can get creative with hill training plans ultimately the best physical and mental preparation for really long climbs is…really long climbs. Try finding a 1 hour climb in the Surrey Hills. Or anywhere the UK. 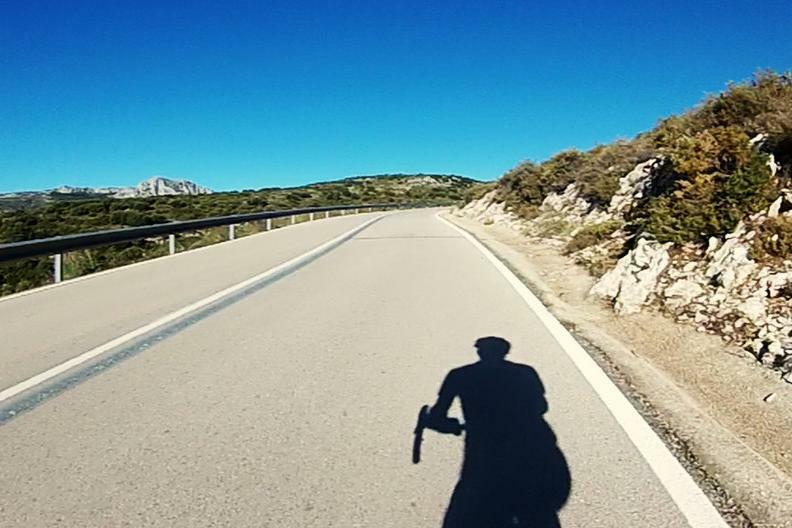 With Alicante airport a short and cheap flight from most major airports and all the bike facilities you need already out there it's easily viable to do your own pro-style training camp pretty much anytime you have a spare weekend or more. 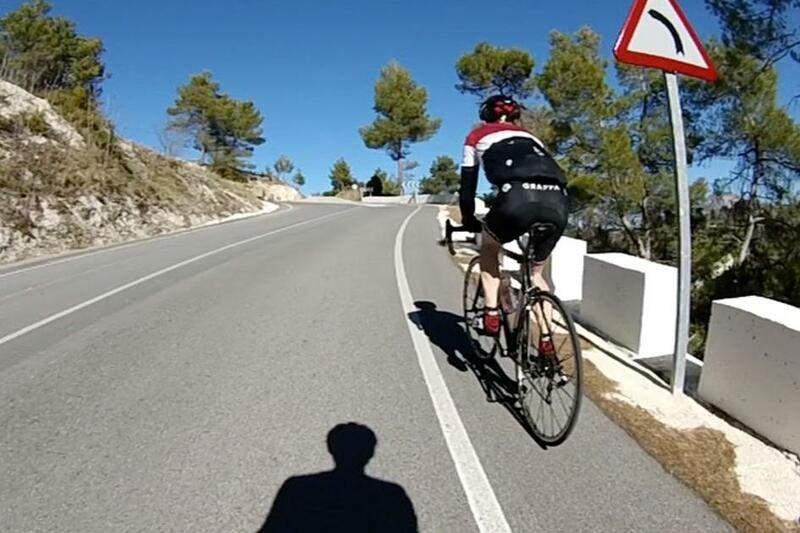 Mike Edwards runs Bibo Bike Coaching and is currently debating looking more Spanish by cycling with a snood on a 24º day.